This is the new SXmini X Class Auto-Squonker powered by YiHi SX620J chipset. It’s a 200W, dual 18650 squonk mod with “Elecronic Spray Atomizer Control Technology”. What it does is wets the cotton automatically every time you hit the fire button according to the wattage you’re vaping at. Another way to activate the ESS (electronic squonk system) is by pushing the joystick up. There’s no date of release yet. The mod is still in prototype phase. “Yihi proudly introduces the world’s first Auto-squonk box mod—SXmini X Class, uses the new YiHi ESS technology. ESS(Electronic Spray Squonker ) is integrated with chip control technology, special mechanical structure design, special atomizer heating core technology, software intelligent control technology. It effectively unifies these 4 parts to work best and to give user the best flavor and experience. The biggest feature of the ESS is its driver and the intelligent control system. It matches with different E-liquid volume and outputs power according to different kinds of E-liquid to eliminate the chance of a dry hit and leakages. It ensures the taste and solves the problem of burning and oil leakage. With the new cloud platform launched by YiHi, users can share their use experience with other users through Bluetooth or WIFI, using user experience to achieve sharing and upgrading through big data processing. This technology uses an advanced liquid volume detecting system that monitors the E- liquid in real time. When the atomizer is running out of E-liquid or has no E-liquid at all, the output power will be reduced or power cutoff to ensure no dry hits, which improves the taste and extends the life cycle of the coil. In summary, Yihi ESS technology uses innovative and systematic designs to enable the chipset, the atomizers, and cloud platform to work to form an ultimate unity. 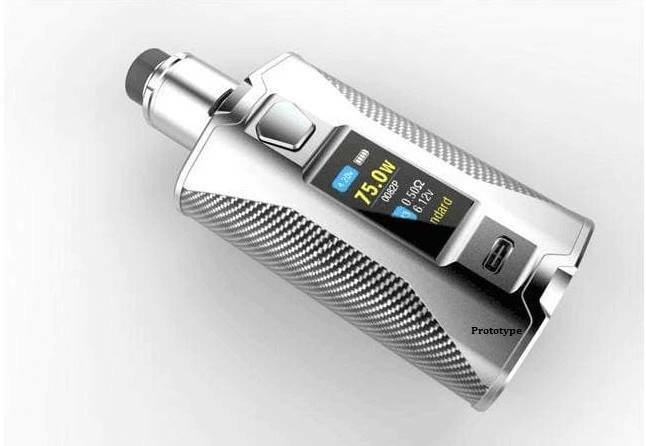 The device has been upgraded from a simple vape mod to the most advance intelligent vape kit. This technology took two years of R&D to bring it to light and we are proud to finally unveil it. Like the the buck&boost technology ,high-powered technology, Temperature Control technology, etc., we believe this ESS technology will elevate the vaping industry to next level. ESS technology can be applied not only to high-power devices, but also to small pod mods. For now, we implemented this technology on the upcoming SXmini X Class, in the near future, we will cooperate with our global partners to further develop this new technology. Categories: Vape Gear News | Tags: Sxmini X Class auto-squonker powered by YiHi SX620J | Permalink.